The Jabra PRO 9450 Flex wireless headset delivers up to 450 feet of range and connects to your desk or softphone. This versatile headset also features an extendable flex boom arm and noise cancelling microphone, acoustic protection, and wideband audio quality. 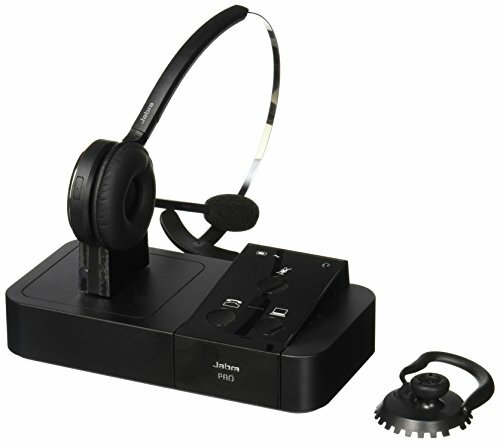 UC Plug-And-Play - Jabra devices feature intuitive call control and seamless connection to all leading UC applications and softphones.